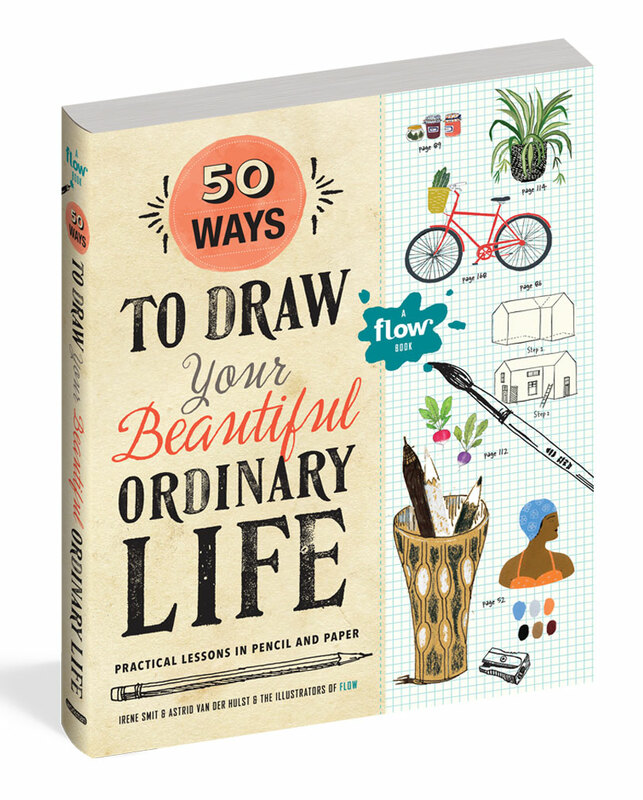 50 Ways to Draw Your Beautiful Ordinary Life is a book with artists and illustrators who collaborate with Flow. 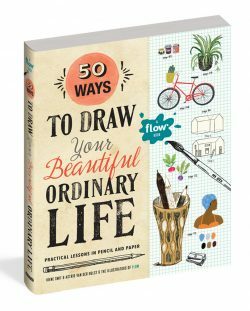 They have opened up their toolkits, sharing secrets, techniques and points of view to teach the creatively curious how to draw. The best of the Flow Books of Drawing has been combined into 50 illustrated step-by-step lessons on how to draw a whimsically curated list of the things we see and interact with every day: flowers, a watering can, a cat, mittens, plants and vegetables, a cup and saucer, a kitchen cupboard, fruit wrappers, a seagull, collars, an apple tree, and so on. The Flow Book of Posters & Cards is packed with more than 50 paper goodies: posters, cards, a foldable calendar and gift wrap paper. Flow is a Dutch magazine for paper lovers. Flow is all about positive psychology, crafting, mindfulness, and not being perfect. Flow helps readers to reflect in various ways on their busy yet…..